Five-Point Intersection Accidents | Davis Law Group, P.S. An intersection where five roads converge is known as a multi-leg intersection but is commonly referred to as a five-point intersection. Five-way intersections or five-way stops are far less common than other types of intersections but still exist in urban areas with non-rectangular city blocks. Seattle, Bellevue, Everett and Tacoma all have five-way intersections. Motor vehicle collisions are common at five-way intersections. Because five-point intersections are so unusual, drivers often forget the rules of the road or simply get confused and crashes occur. Accidents at multi-leg intersections frequently involve several vehicles (three or more cars) and head-on collisions, side-impact crashes, and t-bone style impacts are common. When multiple cars are involved in a crash at a confusing intersection, injuries can be very severe. If you or a loved one has suffered injuries in one of these accidents, contact Davis Law Group at (206) 727-4000, use the chat feature below or fill out the form on this page. According to the United States Department of Transportation (USDOT) and the National Highway Traffic Safety Administration (NHTSA), all vehicles must follow right-of-way rules to safely cross intersections. For example, when two vehicles get to the intersection at the same time, the vehicle on the right goes first; it has the right-of-way. If neither the base rule or furthest right rule apply, then one should observe the “Straight Traffic Goes First” rule which means that when two vehicles are directly across from each other, and one is turning left, the one that is going straight goes first. However, even if you have the right-of-way, if for any reason you feel uncomfortable or that your safety is threatened, let the other traffic go ahead. This is known as the “When in Doubt, Bail Out” which trumps all rules. Because so many accidents occur at intersections, it’s important for all drivers, pedestrians and bicyclists to understand the applicable rules. A violation of these laws may establish fault, a key in an eventual personal injury case. 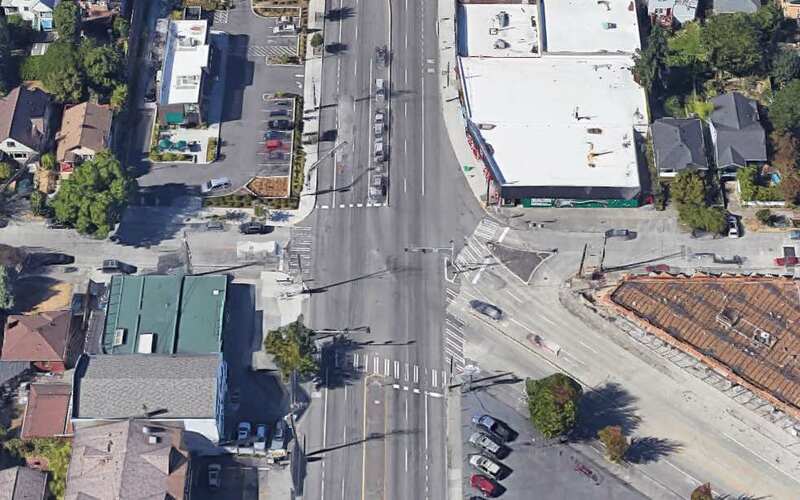 According to Washington state law, right-of-way at intersections requires drivers to yield to the person to your right or to whoever approached the intersection first. RCW 46.61.180: (1) When two vehicles approach or enter an intersection from different highways at approximately the same time, the driver of the vehicle on the left shall yield the right-of-way to the vehicle on the right. RCW 46.61.190: (3) That if such a driver is involved in a collision with a vehicle in the intersection or junction of roadways, after driving past a yield sign without stopping, such collision shall be deemed prima facie evidence of the driver's failure to yield right-of-way. Intersection accidents affect not only drivers, but pedestrians as well. Intersections involve the co-mingling of pedestrians and vehicles, and in large towns or cities, these encounters are frequent. Pedestrians might have a traffic signal or crosswalk to aid their journey, but oftentimes a driver’s negligent behavior still makes things dangerous. A driver might hit a pedestrian while running a red light or stop sign, due to a failure to yield, speeding in order to make a light prior to turning red, left or right turns made against the crossing signal, crossing without a signal, or drivers or pedestrians who are intoxicated. Intersection accidents involving pedestrians are typically due to human error — a driver or pedestrian making a mistake — but intersections themselves may cause accidents. For example, if a crosswalk does not allow adequate time for pedestrians to cross, a municipality or agency may be responsible for the accident. Accidents at five-point intersections often involve multiple vehicles, severe impacts, serious damage to the vehicles and often life-threatening injuries or death to the accident victims. Multiple vehicles will mean multiple insurance companies, multiple insurance adjusters and complex settlement negotiations. To get fair compensation for injuries, medical bills, lost wages, pain and suffering, and other damages, accident victims or their families may want to seek legal assistance from a personal injury attorney with expertise and experience handling complex accident cases. For a free case evaluation with the attorneys at Davis Law Group, contact us today. Call (206) 727-4000.